So, making mesquite flour is probably the easiest flour to make. Also, mesquite trees are rather over-abundant in this part of Texas, and each tree can produce hundreds of beans. So they’re not hard to find, nor will anyone begrudge you taking them. You may actually be doing someone a favor! Mesquite beans have a starchy pith inside that tastes similar to sweet honey or molasses. It’s got a lot of fructose as well as protein, so it can provide energy and be quite filling! 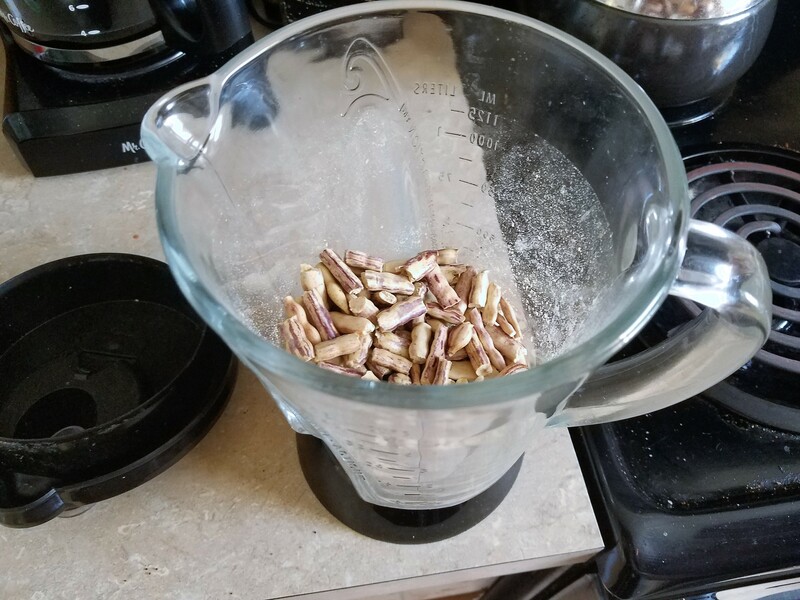 Take your ripe, dry beans and simply snap them up into smaller pieces and toss them into a blender or other grinder. Grind them up as you would a bunch of ice; pulsing until all the pieces are ground. Use a mesh sieve to sift out the finely ground flour from the chaff of the outer pods and the stone hard seeds. 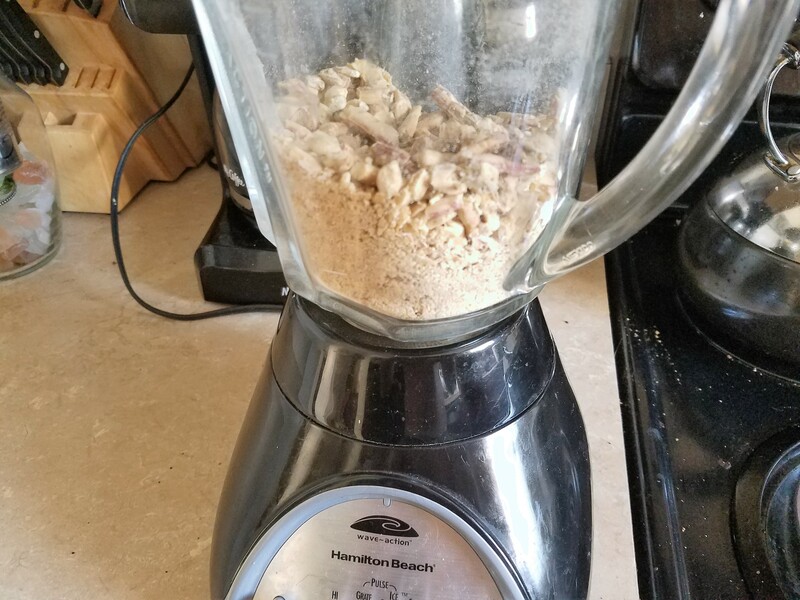 You can either pour this remnant back into the blender to try and get more flour out of it, or you can simply toss it in the compost pile. There’s a wide variety of recipes you can make using mesquite beans, from pancakes and pie crusts to bread AND jelly! 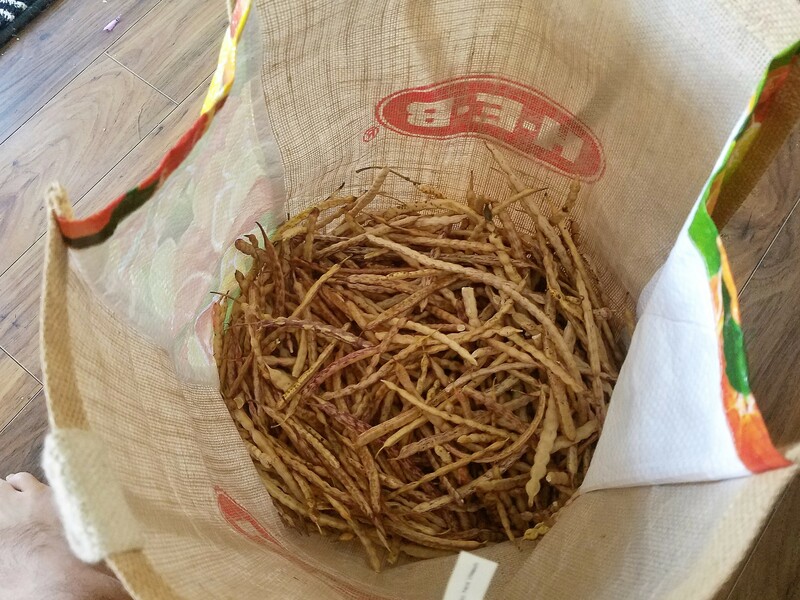 Make sure any beans you gather are ripe and dry (meaning they pull off the tree with no effort and can SNAP in half) and don’t have any black or dark stuff growing on them. In really wet years, in places where it’s humid (like Bryan/College Station), the rain and the bugs can combine to ruin a mesquite harvest. Lucky for us, those seem to be the years when the beautyberries THRIVE!